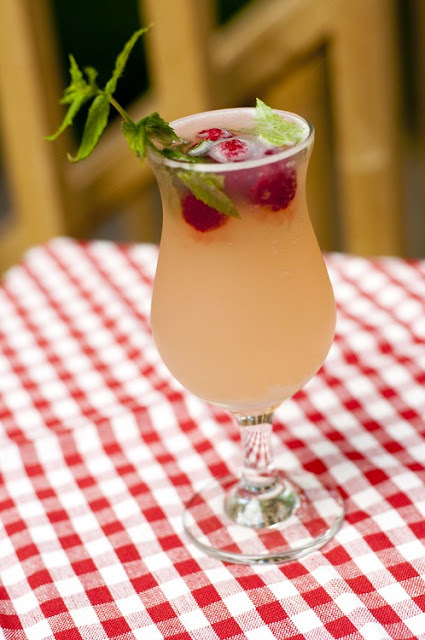 Raspberry Rhubarb Mojito - A friend (Thanks AS!) gave me a harvest of rhubarb this summer and ever since I’ve been trying to work my way through it. The bitterness goes great with alcohol (if you like drinks like G&Ts that is). I whipped up this Rhubarb Spritzer by boiling a cup of chopped rhubarb with 1 cup of water and 1/4 cup of sugar for a few minutes. You then strain out the rhubarb and are left with rhubarb syrup. Add a shot of syrup and a shot of gin to a fancy glass and top with club soda, raspberries and a garnish of mint. Too bad this post isn’t seasonally appropriate but I like to pretend it’s summer when it starts getting dark at 4pm in Ontario.